Do You Engage in These Distracted Driving Behaviors? We are a nation who loves to multitask, from reading a book while getting in a workout to listening to an educational podcast while eating a nutritious meal. However, multitasking is not something that should be practiced while driving, particularly when it involves the activities below. If you have been involved in an accident caused by a distracted driver, you may have grounds to pursue compensation through a car insurance claim or a lawsuit. 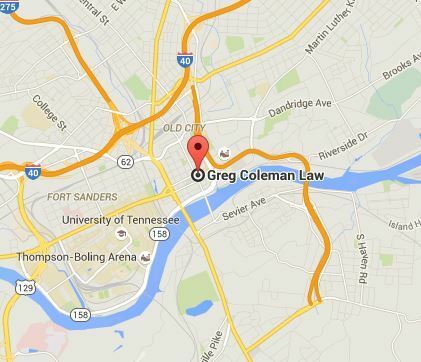 Our Knoxville car accident attorneys are here to assist you with your legal needs. Call us today for a free case evaluation. We handle our cases on a contingency fee basis, so there are no upfront costs or lawyer fees. We only receive payment if we successfully obtain compensation for your case. Despite the continued public service announcements urging drivers to stop texting and driving, an Erie Insurance survey found that 30 percent of drivers said they have texted while driving and 75 percent of respondents said they have observed other drivers doing it. (Erie insurance operates in several states, including Tennessee.) The survey also found 51 percent of drivers between the ages of 18 and 34 text and drive. If you take your eyes off the road for just five seconds to send or read a text message and you are traveling at 55 miles per hour, your car will travel nearly the length of a football field. Some of today’s vehicles have built-in entertainment systems that allow people to check email messages, text messages and social media accounts. Some opponents argue that these systems actually encourage more social media use because they are so convenient for drivers. Even if the system is hands-free, these systems can still take drivers' eyes and focus off the task of driving. Another common form of distracted driving involving phones and other electronic devices is taking pictures or video. Drivers may take videos or photos of themselves driving and post this to social media. Taking your eyes, hands or attention off the road increases the likelihood of an accident. Many people are so busy they often stop to get food from fast food restaurants drinks or gas stations. Even people who are not particularly busy often have something to drink while driving, such as coffee, soda or water. However, reaching for food or a drink or spilling food or your coffee on yourself can cause you take your eyes off the roadway and your hands off the steering wheel. This can even cause you to swerve into oncoming traffic. Rather than eating or drinking while driving, park your car and take a little more time to stay safe and enjoy your meal. Plan ahead so you have more time to eat and are not tempted to try to eat and drive. While it may not seem sensible, most of us have seen other drivers engaging in grooming activities like brushing their hair, flossing or applying makeup. A 2015 survey by Erie Insurance found that 15 percent of drivers admitted to combing or styling their hair, nine percent admitted to changing their clothes while driving, eight percent admitted to applying their makeup, and four percent admitted to brushing or flossing their teeth. An often-overlooked driving distraction is talking to other passengers in the vehicle. Other people can be distracting, which is why many states’ graduated license programs limit how many passengers can be in a vehicle with an inexperienced driver. Tennessee's intermediate restricted license limits drivers to one passenger. If you were injured by one of the risky driving behaviors discussed above or any other form of distracted driving, it is important that you have an advocate to help you protect your rights. There is no excuse for distracted driving and victims should be compensated for damages from accidents caused by reckless drivers. The car accident attorneys at Greg Coleman Law have helped many injured victims recover compensation after the negligence of another driver caused their injury or loss of a loved one. We can discuss your options for recovery during a free consultation. If you decide to retain our services, we will conduct a thorough investigation to determine if distractions contributed to the accident. We charge no upfront fees and work on a contingency fee basis, so there is no risk to contacting us to learn about your legal options.